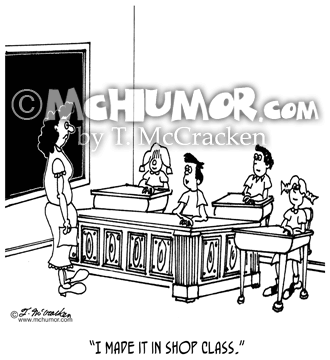 Education Cartoon 5641: A first grader sitting at a fancy oversized desk among students in normal desks saying, "I made it in shop class." 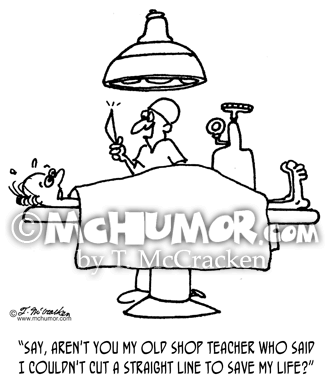 Medical Cartoon 6279: A surgeon with a vast scalpel saying to a terrified patient, "Say, aren't you my old shop teacher who said I couldn't cut a straight line to save my life?" 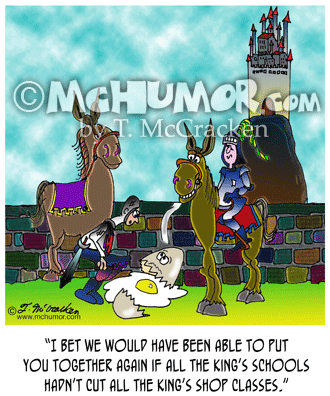 Education Cartoon 6973: One of the king's men saying to Humpty Dumpty, "I bet we would have been able to put you together again if all the king's schools hadn't cut shop classes." 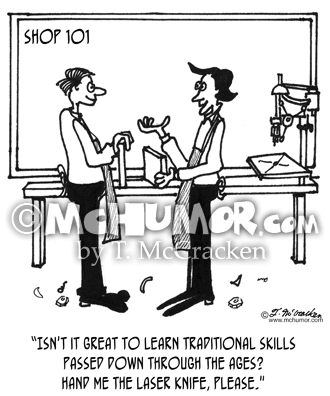 Shop Cartoon 3650: A kid in wood shop says to another, "Isn't it great to learn traditional skills passed down through the ages? Hand me the laser knife, please." 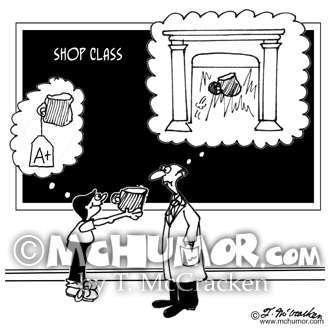 Craft Cartoon 4493: Kid imagines shop project getting an A; teacher imagines the same project in his fireplace. 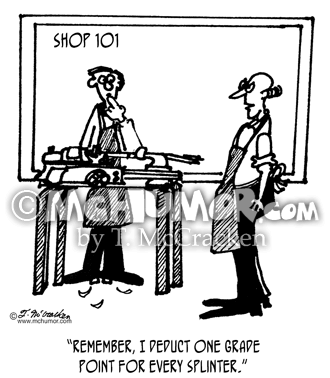 Carpentry Cartoon 3667: A school shop teacher says, "Remember, I deduct one grade point for every splinter." 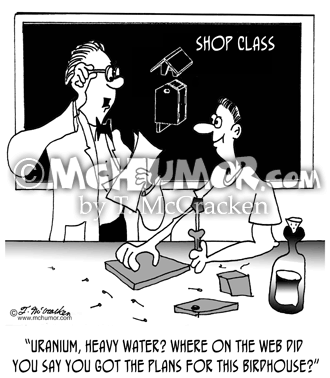 Carpentry Cartoon 4966: An instructor in shop class looking at instructions asks a student, "Uranium, heavy water? 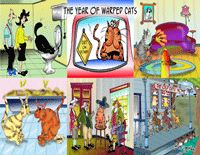 Where on the web did you say you got the plans for this birdhouse?" 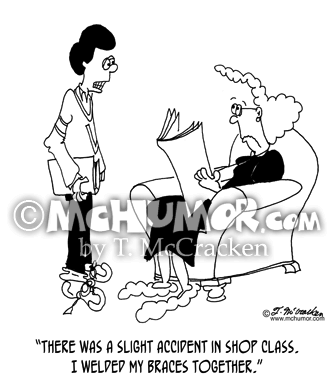 Welding Cartoon 5740: A teenager says to his mother, "There was a slight accident in shop class. 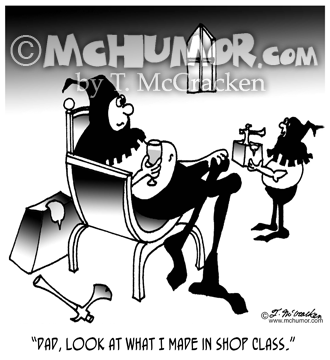 I welded my braces together." 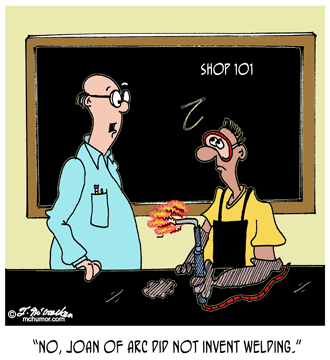 Welding Cartoon 4987: Teacher to student in shop class, "No, Joan of Arc did not invent welding."